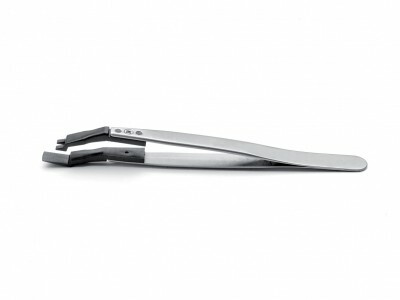 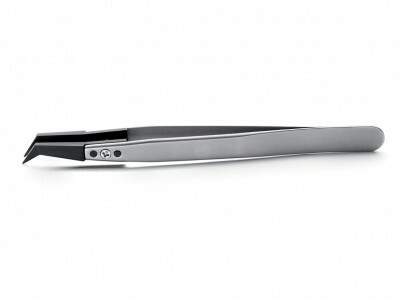 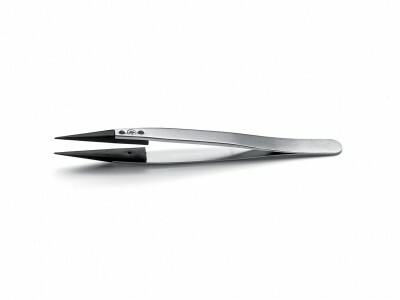 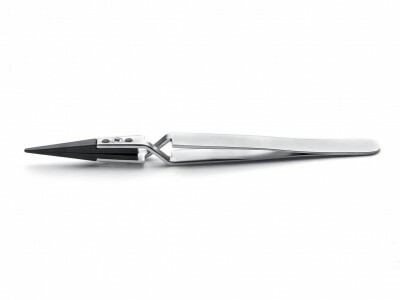 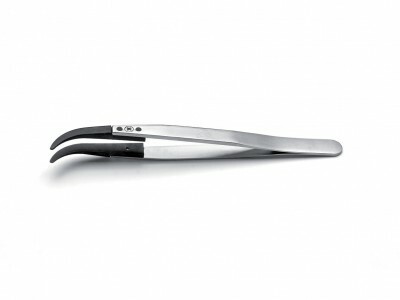 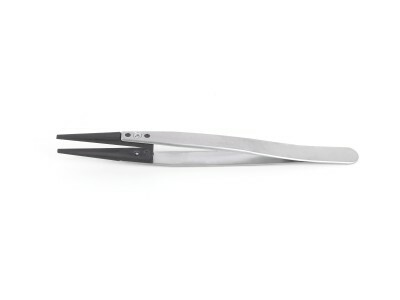 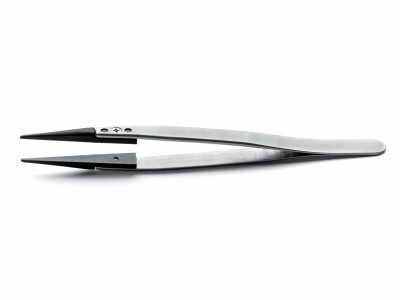 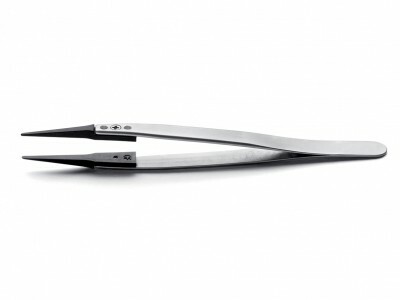 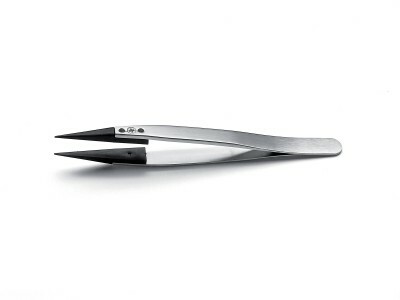 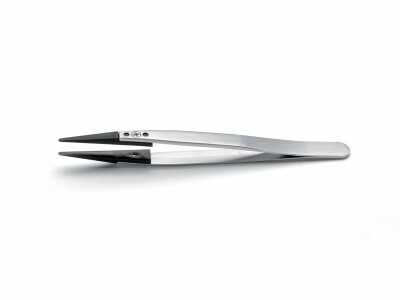 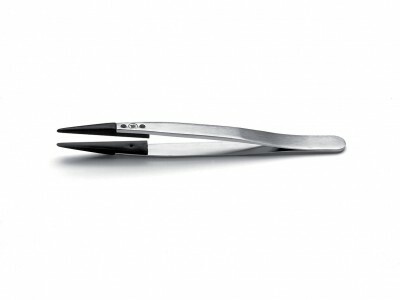 Tweezers with anti-magnetic stainless steel handles feature durable self-aligning replaceable tips. 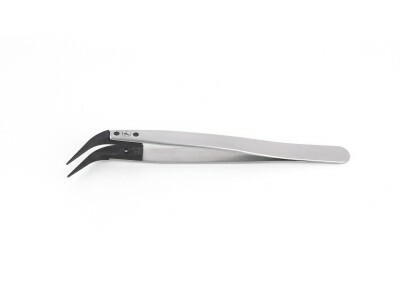 Compatible with tips of different shape and material (such as carbon fibre, PVDF, carbon PEEK and Delrin) they offer a significant cost savings for work in Life Science&Microscopy. 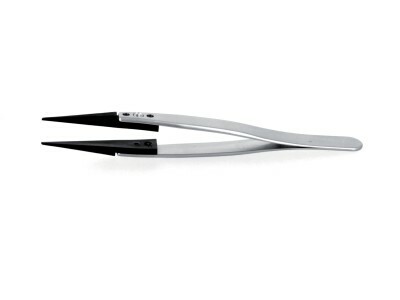 Tweezers with replaceable tips in plastics are excellent for handling sensitive electronic components, and ideal to work with ceramic and glass parts where non-metallic non-scratching tools are critical. 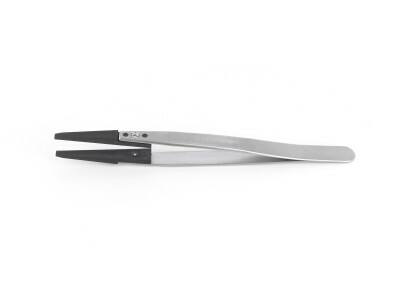 The degree of compatibility with different materials can be easily checked on the Chemical Chart for Plastic Material Compatibility provided by Ideal-tek.